When less heat output is required, the MOD LD is fitted with a small hot water coil. 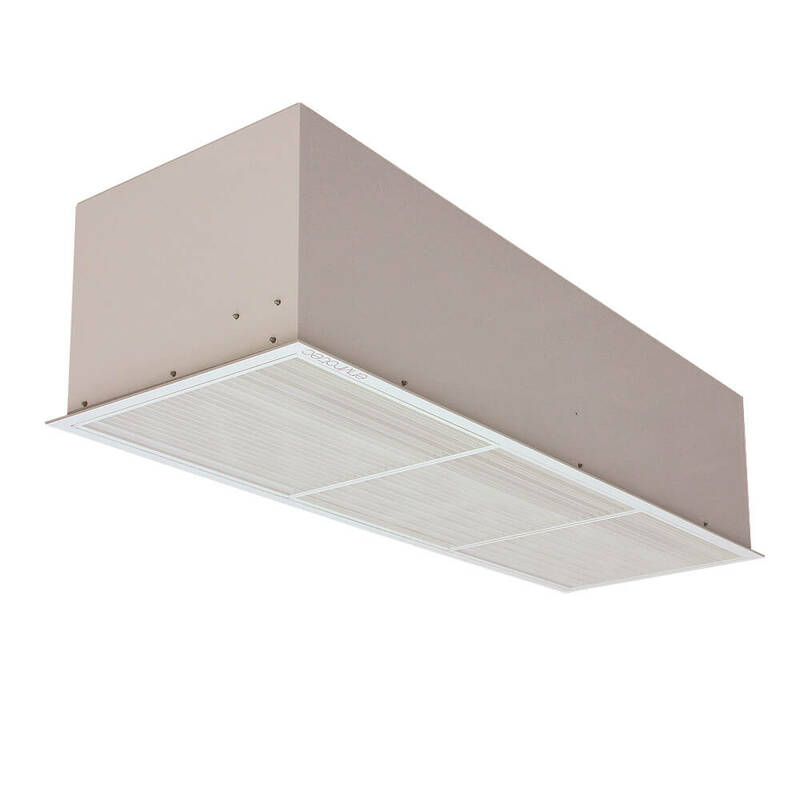 Ideally suited to recessed air curtain installations in a ceiling grid or false ceiling. Supply and return air paths are sited adjacent to each other within a single grille. Access to internal components is achieved through the grille.